� Choose from 18 colors. � Corded Piping trim throughout. 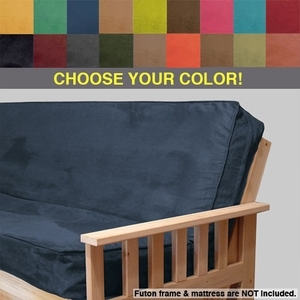 Fits standard full size futon mattress (54x75 inches) up to 8 inches thick.